If you keep putting off entertaining because you feel like you can’t afford either the investment of money or time, or maybe both, stop putting it off! Entertaining doesn’t have to drain your bank account or your energy. It is meant to be fun! Honest and true! Savvy entertaining is all about making guests feel welcome in your home and building relationships, not about expensive spreads or time consuming decorations. One obvious and simple way to entertain is with a backyard barbecue. It doesn’t get much less expensive than hot dogs and chips. It is such an informal way of entertaining, people don’t have high expectations for fancy meals or intense decorations. If you want to go a step or two beyond that, think about making pulled pork sandwiches instead of hot dogs or hamburgers. Here is a basic recipe for making the pork on a slow-cooker. 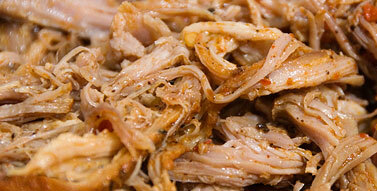 Once the pork is cooked, take it out of the slow cooker and shred it between two forks. Remove the liquid from the slow cooker then return meat along with about a cup of barbecue sauce. Mix it all together and leave in the slow cooker to keep warm while serving. Just turn it to the low setting. You can offer hot dog buns or hoagie rolls to make the sandwiches. Serve alongside potato or pasta salad, a fresh summer salad and some fresh fruit and you’ve got a nice, inexpensive meal. Decorations can be kept to a minimum. Cut a few flowers from whatever is blooming in your yard. 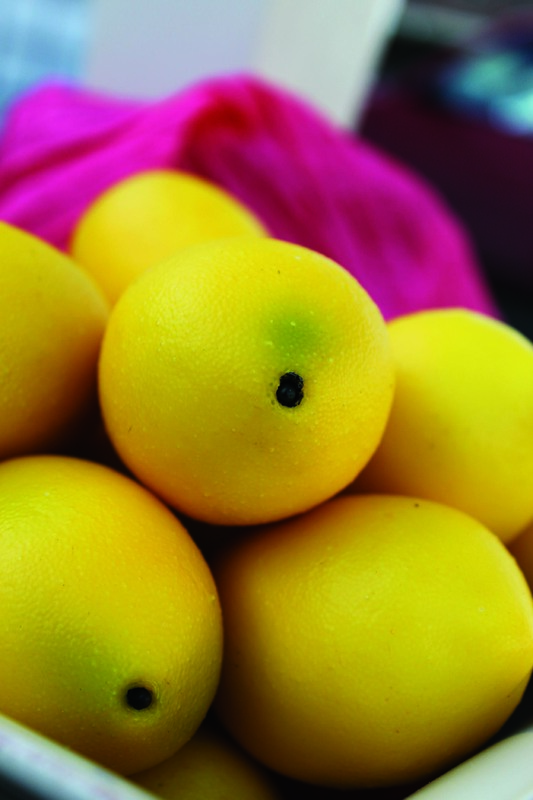 If you don’t have a yard or anything in bloom, just stack fruit or vegetables in a bowl or on an elevated tray for your centerpiece. Use a flat sheet for your table covering. You can purchase these in a multitude of colors and sizes for less than $5 at most discount stores. Your dinnerware could be an eclectic mix of whatever pieces you have on hand. Or invest in a few melamine plates that can be reused all summer long. I found some at Wal-Mart last summer that were great. They had several colors to choose from and at a price of four for $1, how could you beat that? If you want to create a warm atmosphere, gather up an assortment of candles and candleholders and place around strategically. The nice thing about entertaining outside is that it won’t matter if all your candle scents match or not because they won’t be blending in an indoor space. You are going more for the warm candle glow than the scent at this point. Do a quick clean of your high traffic areas like the front door, back door, kitchen and bathroom. If you only have time to really clean one room, make sure it is the bathroom guests will use. There is nothing that crashes a party faster than a less than clean bathroom. Use E-vites for free invitations and you are set to entertain! Don’t keep putting off spending time with family and friends because you want to wait until you have the time or the money to do something grand and flamboyant. Get out there and entertain this week! She Who Needs to Follow Her Own Advice!